The Salvation Army is a religious and social service organization, a branch of the Christian church dedicated to the never-ending battle against the twin enemies of sin and despair. It is a holistic ministry to body, mind and soul. The Salvation Army seeks to improve the physical environment, provide for material needs and lead people to a personal relationship with the Lord Jesus Christ. The Salvation Army is global, and The Salvation Army is local. As a faith-based organization The Salvation Army's message is based on the Bible and our mission is to meet human needs without discrimination. As a local organization The Salvation Army works every day in Greater Cleveland to provide tangible assistance through programs with a dedicated staff and committed volunteers. Our programs are not generic in that one size fits all but is flexible to provide the right assistance needed at the right time to the right people. The Salvation Army provides for the basic needs, such as food, clothing and shelter. Beyond those basic needs The Salvation Army invests its time in the human spirit by offering counseling, education programs, recovery/support programs, and spiritual support for those willing to accept it. The Salvation Army in Cleveland is unique in that it is located in multiple areas surrounding Greater Cleveland and thereby accessible to those in need. 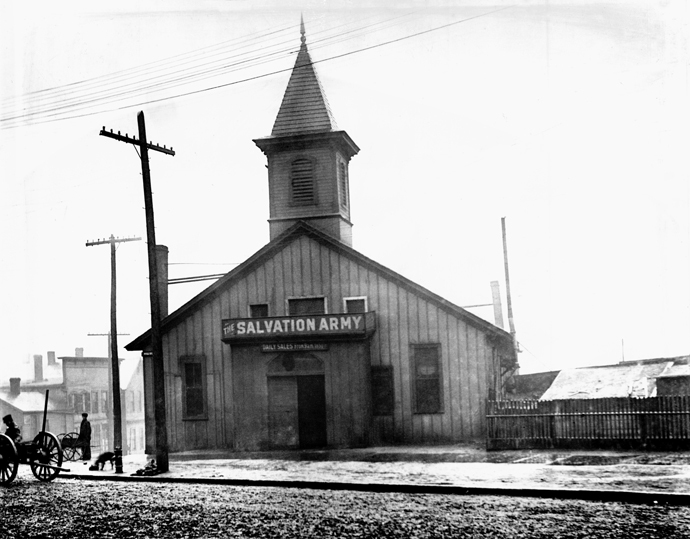 The work of The Christian Mission, forerunner of The Salvation Army began July 1, 1872. 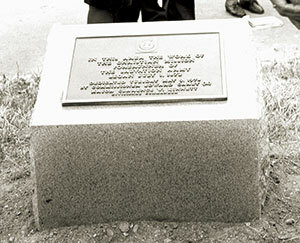 This Dedication Stone marks the beginnings of The Salvation Army in Cleveland, Ohio. Serving Cleveland since 1872.The Salvation Army in Cleveland was first known as The Christian Mission. It represented one of the organization's first U.S. outpost, operating from 1872-1876 and reorganized as The Salvation Army on Oct. 29, 1883. By 1907, The Salvation Army had five corps in Cleveland. In addition to religious activities, many other services were offered including prison visitation, employment, missing-persons, "anti-suicide," day nursery, salvage services, an orchestra, and two workingmen's hotels. Slum officers investigated applicants before providing coal, clothing, bedding, furniture, and other basic needs. First Salvation Army Building in Cleveland, Ohio 1889. 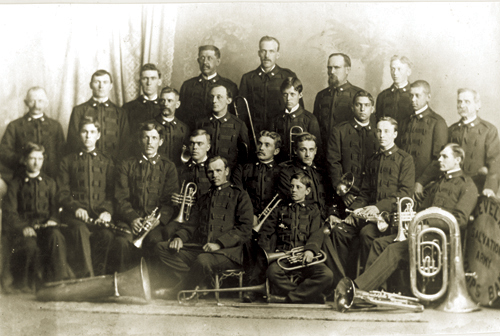 First known photograph of the Cleveland Salvation Army Brass Band. Date Unknown.